Featuring sheet music for 15 of Will’s uplifting piano solos, and full-color prints of 25 of Madeleine’s paintings. Music and art to heal, delight, and inspire, taking solo piano and watercolor into a new dimension. This collection of sheet music of Will’s original piano music provides a language of the heart available to all pianists, adorned with Madeleine’s paintings that can deepen our connection to our inner vision, and the magnificence of our Earth. The book also includes a complimentary link to access downloadable audio files for all 15 piano pieces that are in the book, so you can listen to them as played and recorded by the composer, Will Tuttle. In addition to the music and paintings, there are pages with information about the artists and their lives and their approaches to their craft. Bursting Light is available through Amazon and also on Kindle, and is available, signed by Will and Madeleine, through this website for $29 ($10 off list price). Music has long been understood to open inner doorways of insight, healing, compassion, and communion. It is a language of intuition heard by our hearts. 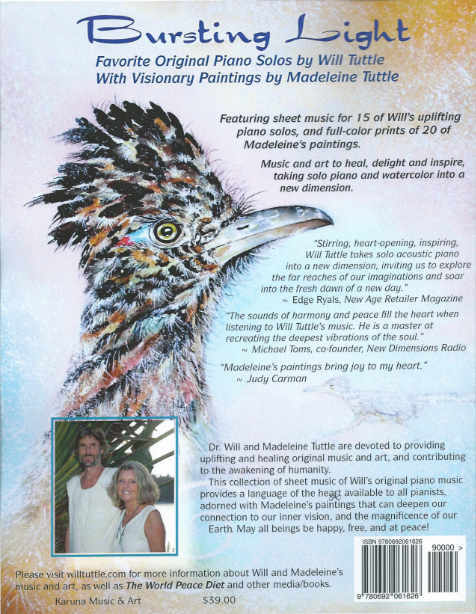 Dr. Will and Madeleine Tuttle are devoted to providing uplifting and healing original music and art, and contributing to the awakening of humanity. “What an uplifting surprise awaits within the gorgeous covers of this inspiring music and art treasury, a precious work of love that weaves together the musical and artistic talents of both Will and Madeleine Tuttle! “If you are an art connoisseur, it does not matter if you cannot read musical notation, because you’ll be delighted to find within these pages a collection of Madeleine’s popular and exquisite art prints of nature and animals in their celebration of life. That alone is worth the effort you make to acquire this book. 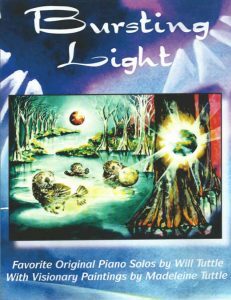 If you are a musician, then your treasure extends even deeper into exploration of the energetic and spiritually-guided music of Will Tuttle. 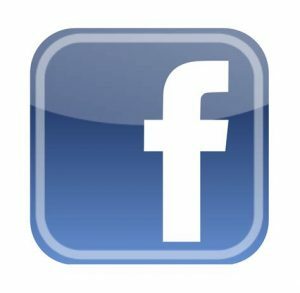 “I especially appreciate that the scoring is tailored to intermediate level, which gives easy accessibility to musicians who are learning to play piano, and also to musicians like myself who extend the scoring to improvise the music on another instrument (in my case, the accordion). Improvisation artists can easily adapt this notation to their own instruments, and also to their own musical skill levels and personal musical styles. May all beings be happy, free, and at peace!